Jersey centre Donovan Sanders has called on his team-mates to "keep their heads up" after their first home league defeat in nearly a year. 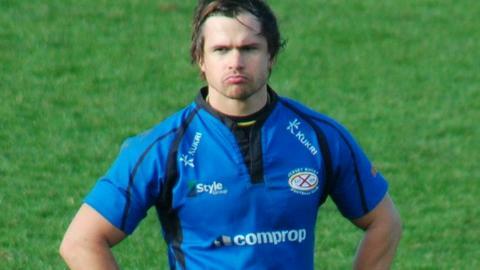 The islanders lost 20-6 to Cornish Pirates in what was Jersey's first ever match in the Championship. It leaves them as one of three teams without a point from the opening weekend. "We've got to bounce back, keep our heads up and look forward to the next game," said Sanders. He admits lessons need to be learned from the opening day defeat as the club gets used to the step up in quality from National One. "Our mistakes kept them in our 22," the South African told BBC Radio Jersey. "We tried to pick the tempo up and maybe it didn't work for us. "We'll go back, have a look at the video and then hopefully learn from these mistakes we made and hopefully do better against Leeds." Jersey travel to Leeds Carnegie on Friday night with both sides looking for their first win of the new campaign.